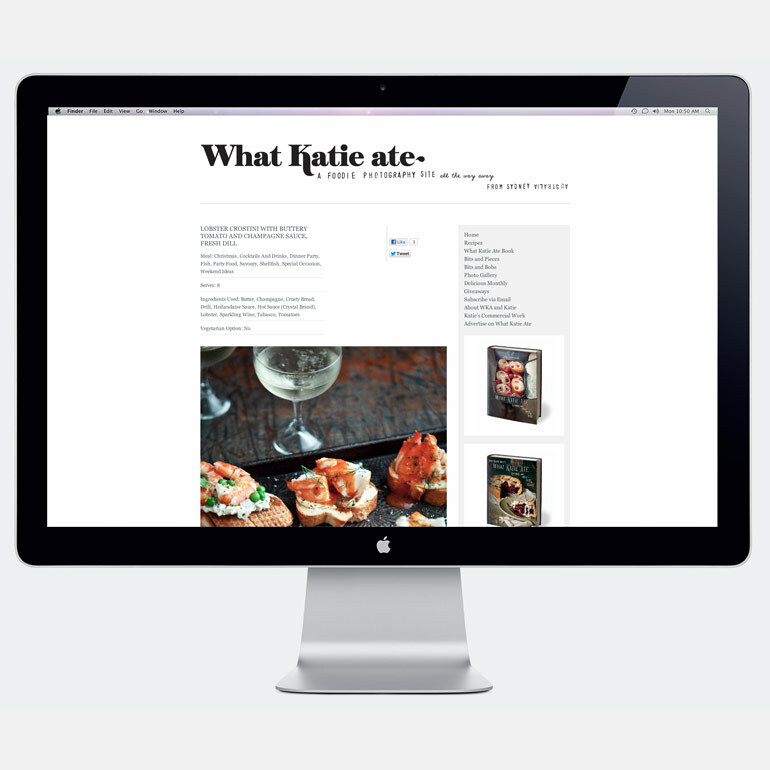 This was the design and programming for Katie Quinn Davies’ food blog: WhatKatieAte.com. 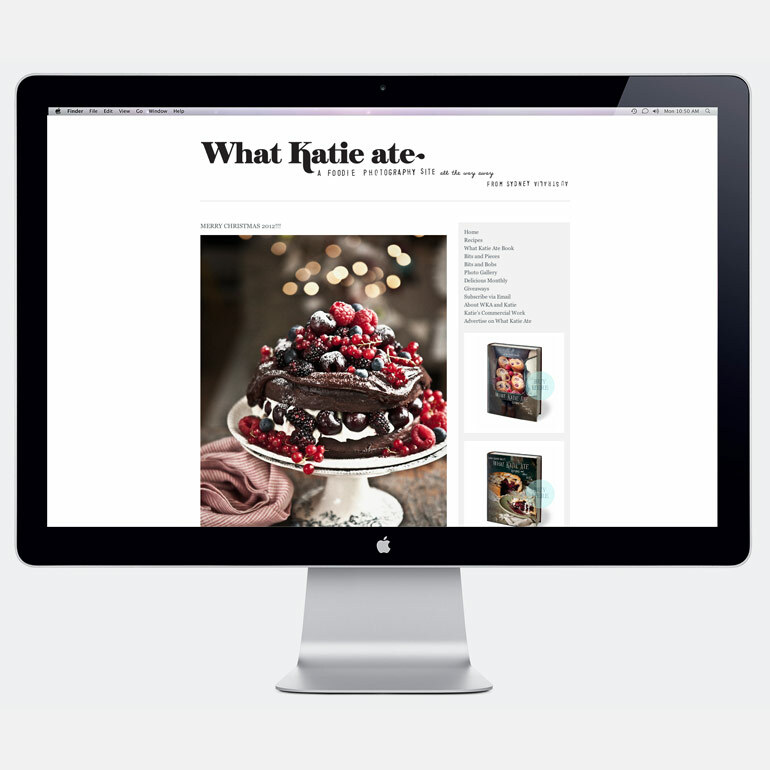 It’s a massively popular food blog and Katie had long outgrown her free Google Blogger site. She asked me to re-do her site and together we re-designed the new version. This site was a custom built WordPress theme which meant she could do updates and posts much easier. Additionally I had to design for the new sections she required, such as a powerful recipe search and a Bits and Bobs product listing.